New research could change the way you see the tomato. Findings published in this year’s March edition of Oecologia indicate that this salad favorite can detect an incoming attack from pests and launch a preemptive defense system that deters various herbivorous species. John Orrock, an ecologist from the University of Wisconsin-Madison, found that tomatoes can identify when a potential threat is nearby. During his research, he applied slime produced by snails, known garden pests, onto soil where tomato plants grew. He then observed any changes in the plants’ chemical make-up. But what of other pests? Orrock’s team looked into the defense mechanism’s effectiveness against other notorious leaf-eaters, particularly caterpillars. Lipoxygenase is known to render the taste of tomato leaves unpalatable to herbivores, so the plants exposed to the slime ended up scot-free. This indicates that the chemical response did not target any specific species, but served to deter herbivorous pests as a whole. For Richard Karban, plant communications expert from the University of California, Davis, the study’s findings raised a number of fascinating questions. Apart from the defensive response’s preemptive nature and the scope of its effects, he also noted how the tomatoes could have sensed the presence of chemicals they did not make actual contact with. Orrok calls this the “million-dollar question” which he hopes future studies on the matter will be able to answer. In July of last year, John Orrock and his team published in Nature Ecology & Evolution a related study that revealed yet another side of tomatoes. They discovered that when threatened, tomato plants can turn even plant-eating caterpillars into savage carnivorous cannibals. Caterpillars are voracious leaf eaters, which enables them to cause significant damage to plants. For this reason, they are considered among the most damaging pests to many types of crops. Although purely herbivorous, they do engage in cannibalism in the absence of other sources of nutrition. Plants cannot run away from danger, so they arm themselves with a variety of defenses to cope with possible harm. When threatened, they release methyl jasmonate that acts as a warning to other flora in the area. In response to this chemical, plants begin producing their own defenses. Tomato plants, in particular, make their leaves taste nasty to caterpillars. Orrock’s team wondered if this defense mechanism can lead worms to eat each other instead of the plants. 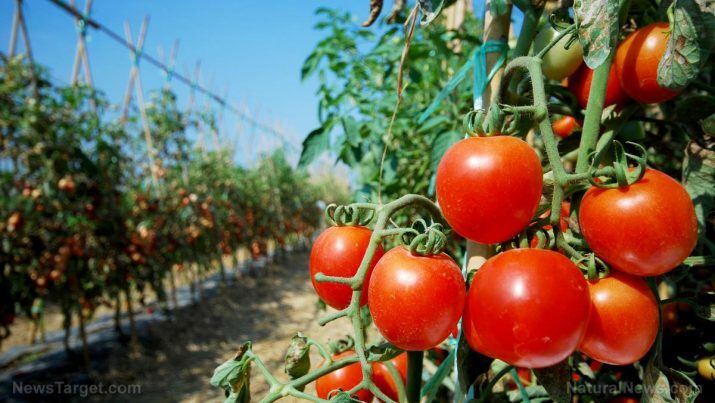 In their experiment, they sprayed tomato plants with varying concentrations of methyl jasmonate. They then exposed the plants to caterpillars. At the end of the experiment, they gauged how much of the plant was eaten and how soon the worms turned to cannibalism. The researchers found that plants sprayed with the highest concentration of methyl jasmonate were the most heavily defended and so survived without injury. Their leaves also tasted the worst, which led the worms to turn to cannibalism sooner than those in other groups. The researchers hope that their findings will encourage people to look at tomatoes and other plants not as passive wallflowers, but as organisms actively fighting to survive. Get the latest, most exciting stories in science and research at Scientific.news.